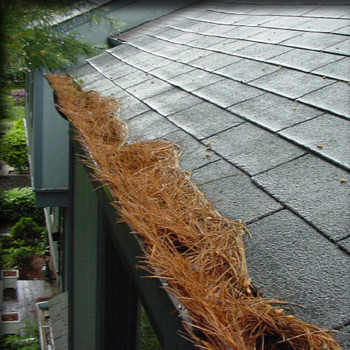 Fontaine Brothers Denver-Gutter Cleaning is a crucial part of home maintenance in the Denver Metro area. Clean gutters are essential in directing rainflow away from your house. Clogged gutters and or downspouts will disrupt this flow causing water to overflow down the fascia of your home promoting mildew and mold growth, eventually causing damage to the roof of your house. Fontaine Brothers safely and effectively cleans gutters by removing all debris by hand, bagging it up, and hauling it away. Then all gutters and downspouts are flushed using our hose to ensure no hidden clogs. We recommend having your gutters cleaned once to twice a year depending on the types of foliage, and roof type.